I don’t like to be irritated, that’s why when I shave my bikini line, I use Bikini Soft Smooth Shave Oil. The oil is an all natural oil blend of ingredients like, Jojoba, Sandalwood, Aloe, Vitamin E, Avocado, GrapeSeed, Sunflower, Safflower, Olive and Astaxanthin. It is designed to reduce skin irritation, razor burn, nicks, cuts, scratches and ingrown hairs. It moisturizes and will not clog your pores. When I’m done with my shave I use the Razor Saver oil on my razor to make it last longer. They are a wonderfully green company too. Read about it here. So get smooth with Bikini Soft, but don’t be scared of things getting hard…. 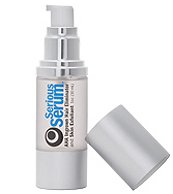 exfoliation with Serious Serum. 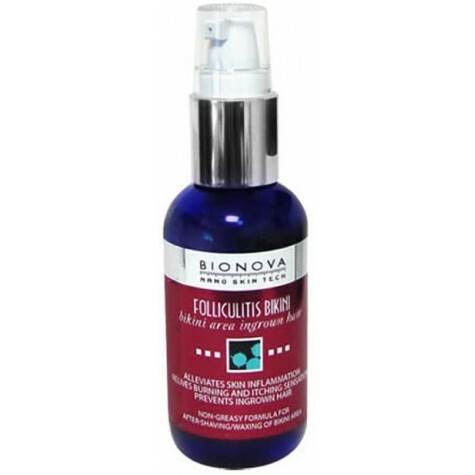 This was developed as an ingrown hair eliminator, and then discovered to be so much more. Yes, it does fight ingrowns as good if not better than it’s counterparts. Additionally it fights keratosis, blemishes, and fine lines. You can use it on your whole face to fight whatever your issues are. There is no scent, and it glides on smooth. It’s secret is a mix of lactic acid, glycolic acid, salicylic acid, aha’s, green tea, aloe vera, and chamomile. So get Serious with your skin, and lighten up with the rest,….